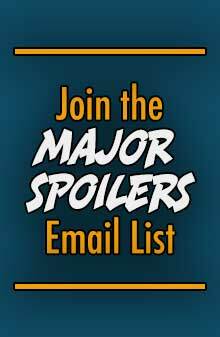 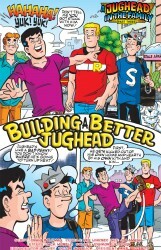 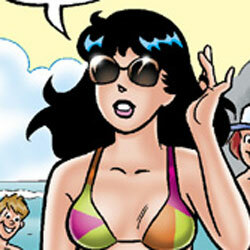 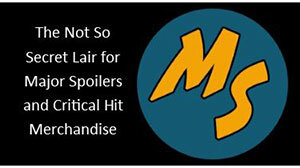 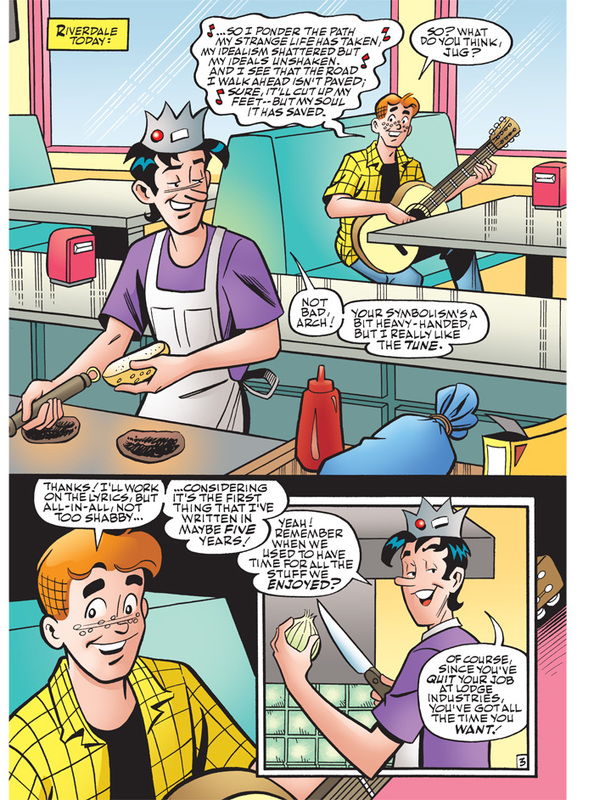 Archie Comics sent Major Spoilers a sneak peek of titles arriving in stores this week. 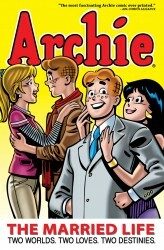 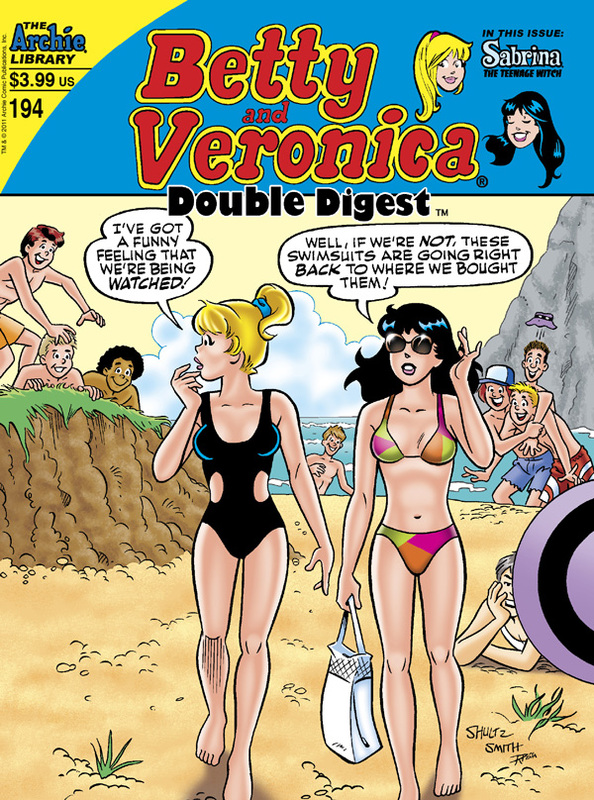 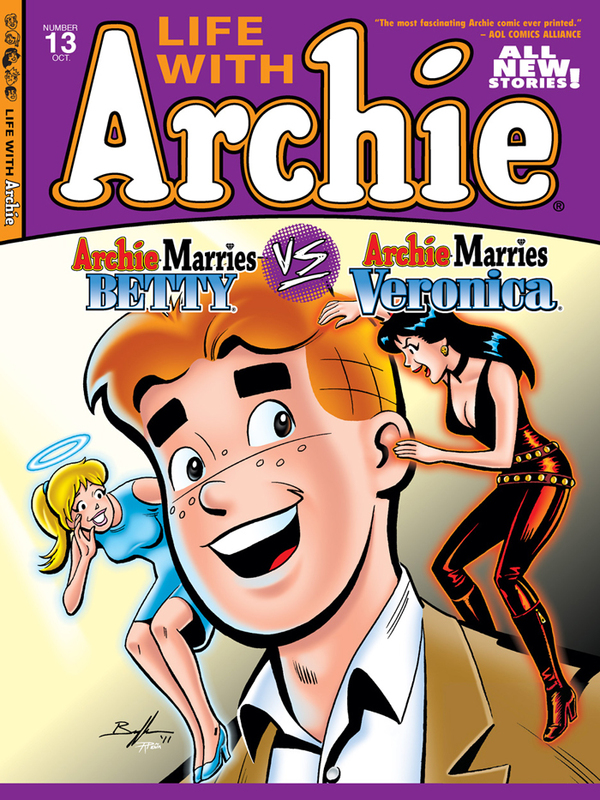 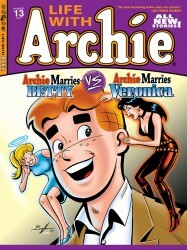 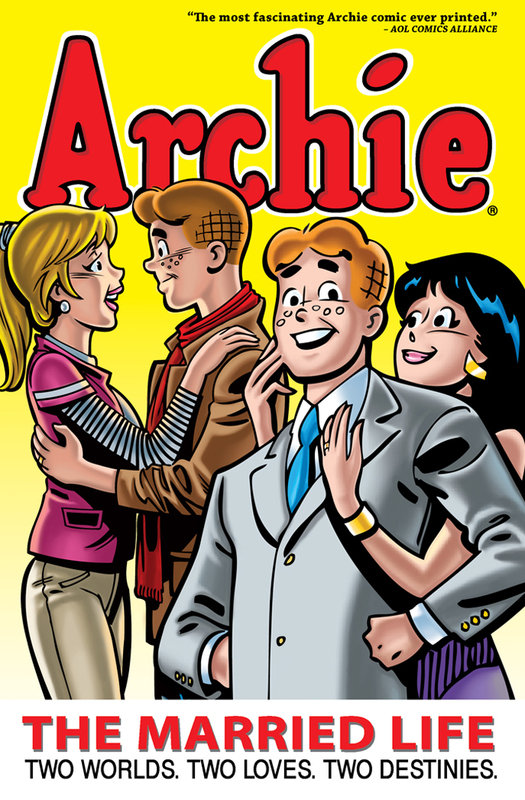 Take the jump for Archie: The Married Life trade paperback, Betty & Veronica Double Digest #194, Jughead #209, and Life with Archie #13. 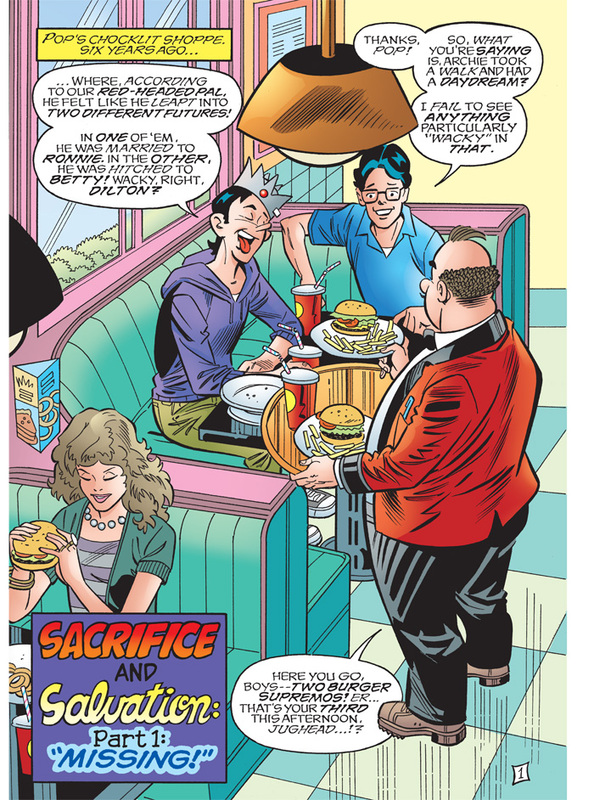 Paul Kupperberg and featuring the fluid and lush artwork of longtime Batman artist Norm Breyfogle. 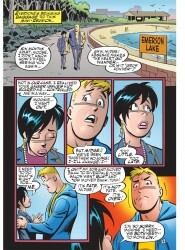 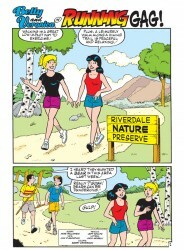 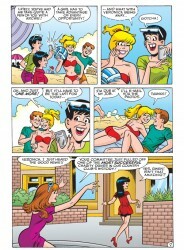 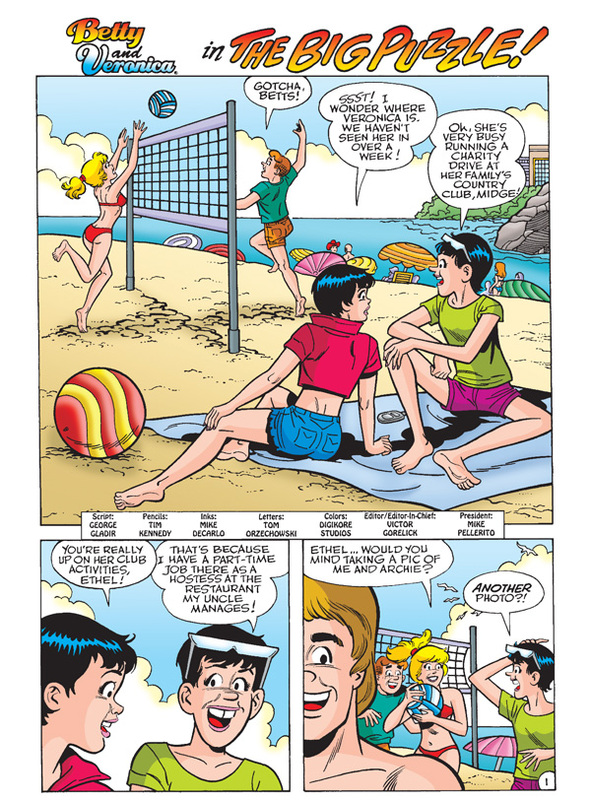 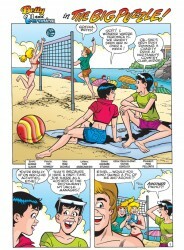 While Veronica is away fundraising for her country club’s charity, Betty will try for all the time she can with Archie. 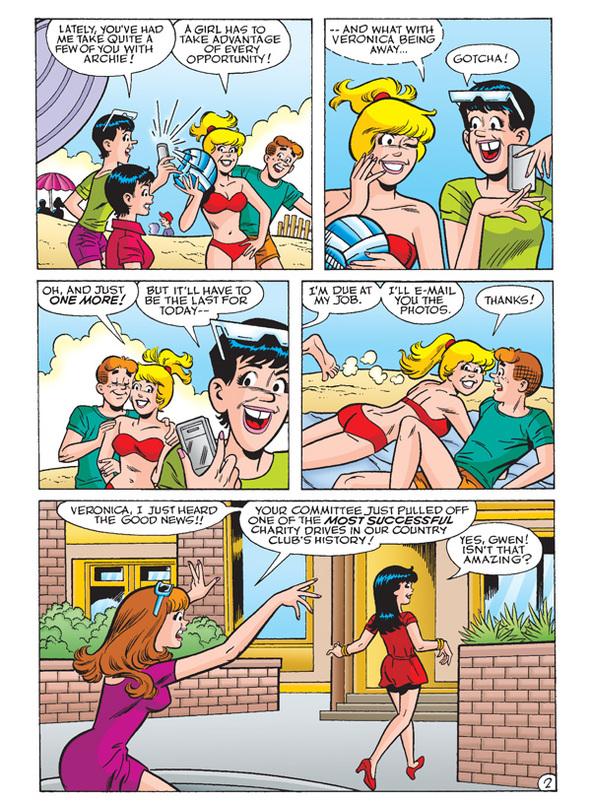 But poor Betty is alone again once Veronica sees photographs of their adventures and steals him back for an event honoring her. 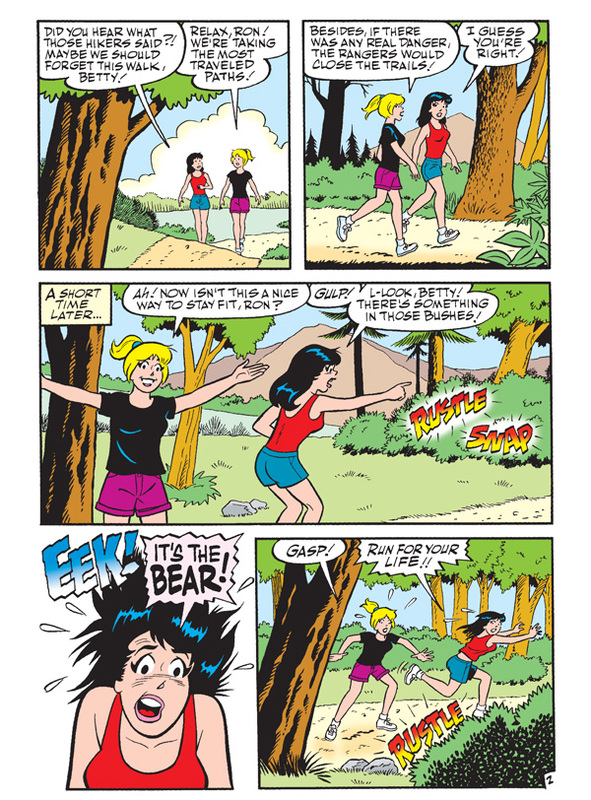 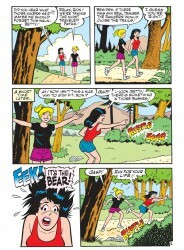 In “RUNNING GAG,” Betty and Veronica take some much needed nature time to hike and stay fit but after learning of a bear sighting, their walk is anything but relaxing. 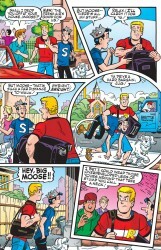 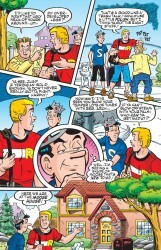 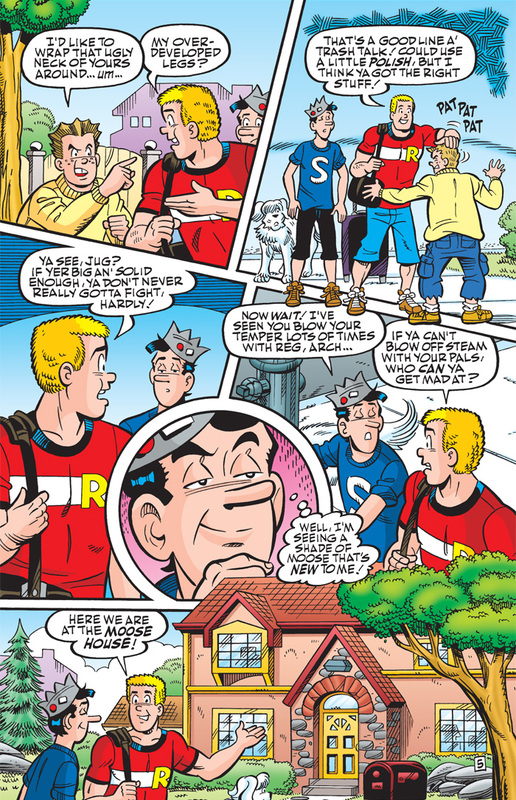 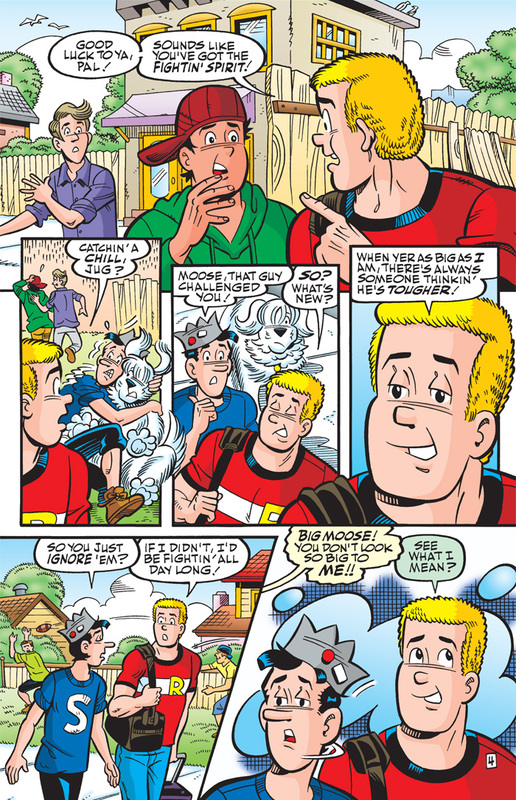 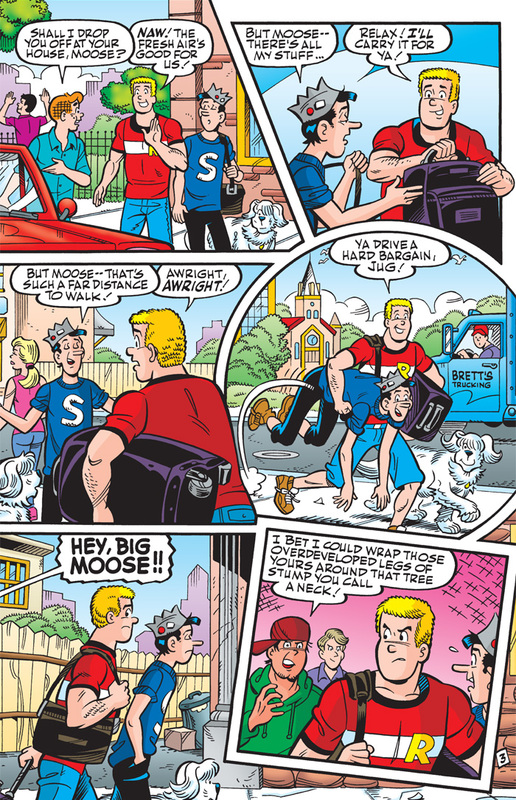 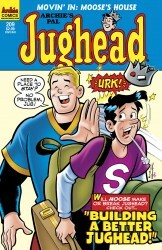 Jughead and Moose make an unlikely team, but when Jughead needs a place to stay, he finds a soft bed, and some hard exercise at Moose’s house. 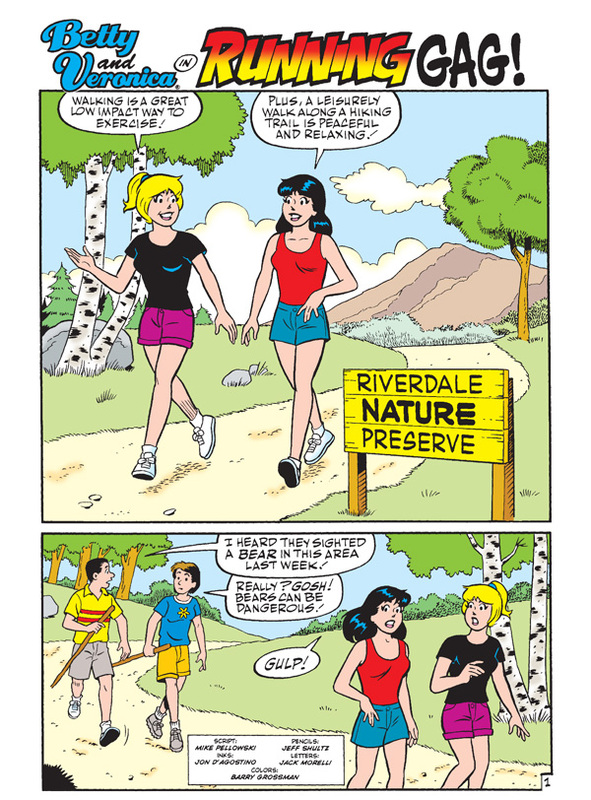 It’s too bad sharing their conflicting routines means bruises and weight gain. 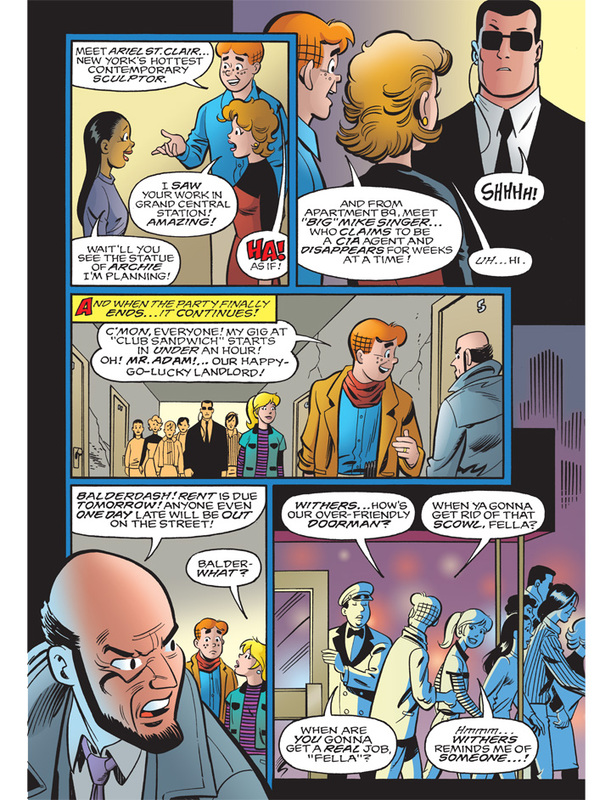 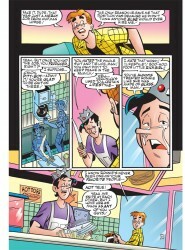 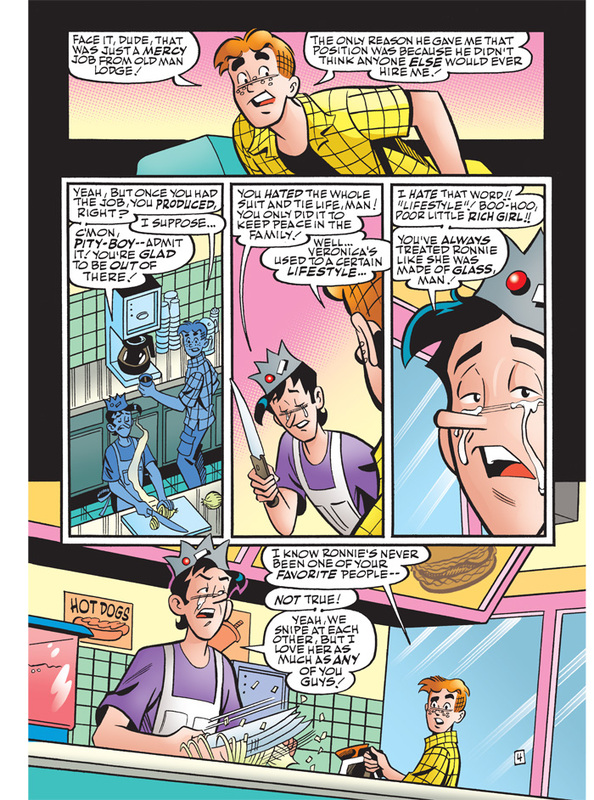 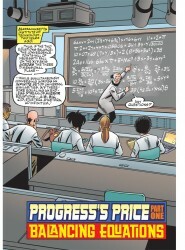 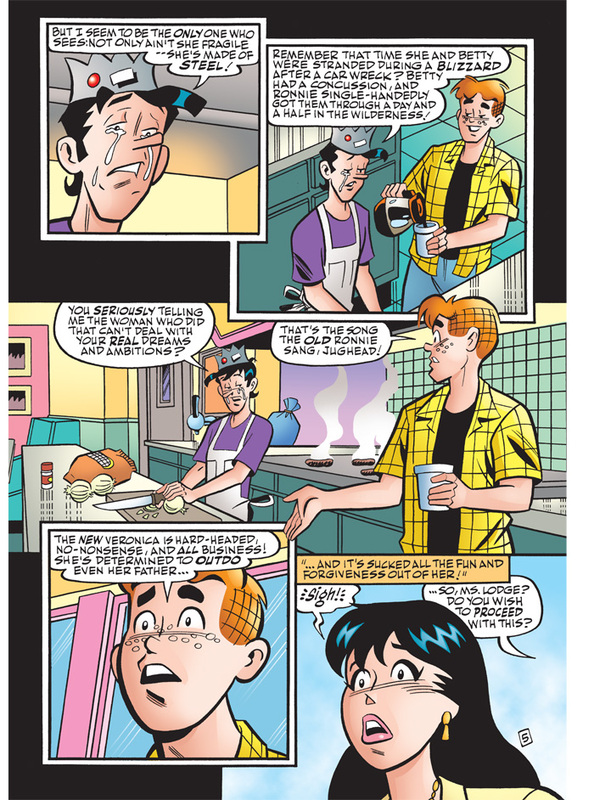 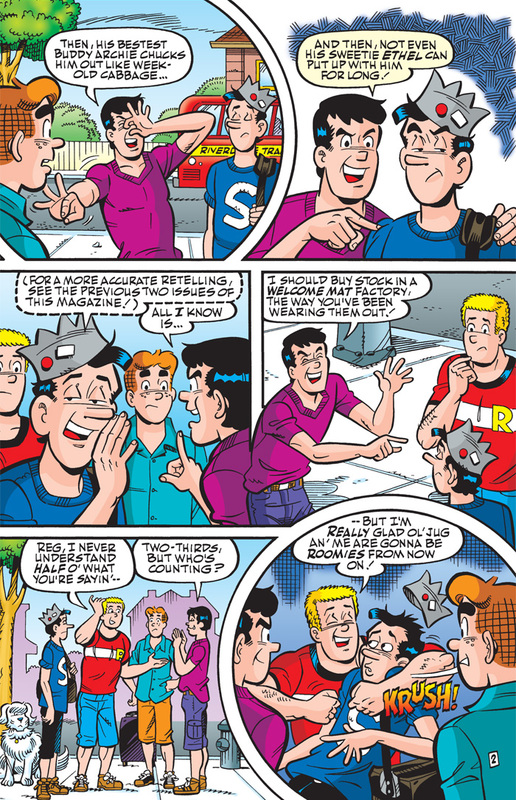 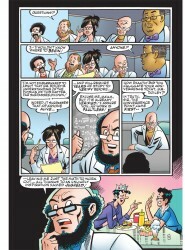 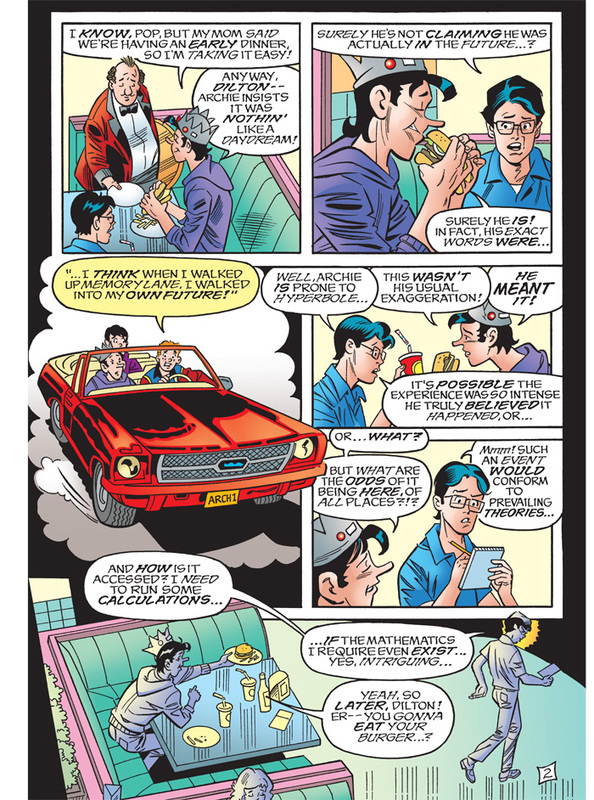 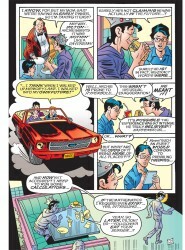 Dilton’s doctoral thesis reveals the existence of an infinite number of parallel realities while Archie’s reality is slowly crumbling around him. Veronica leaves him to find someone more suitable and Jughead finally finds a way to balance work at the Chocklit Shoppe and his marriage to Midge. 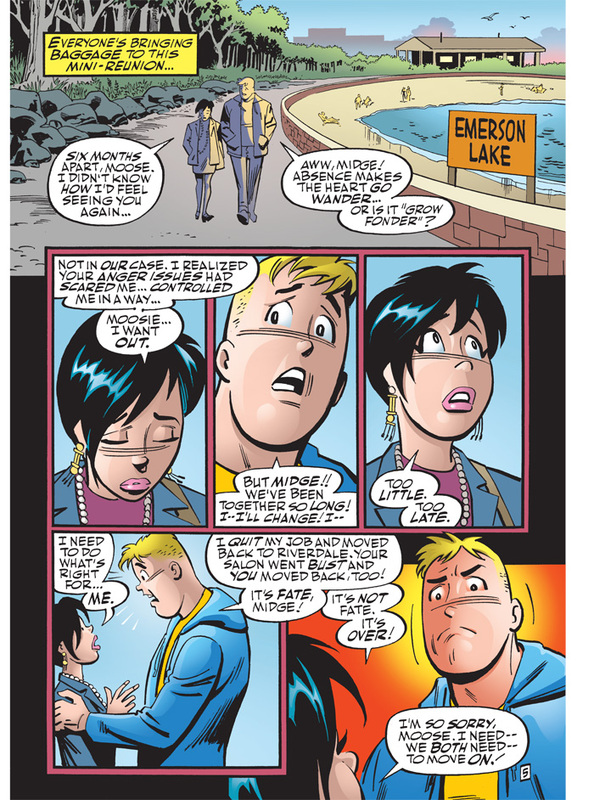 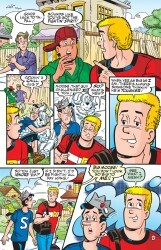 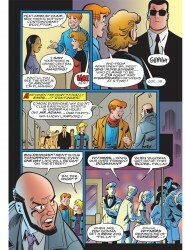 An exonerated Reggie begins to think of his future, and it seems to include Betty! 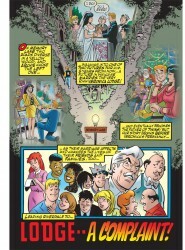 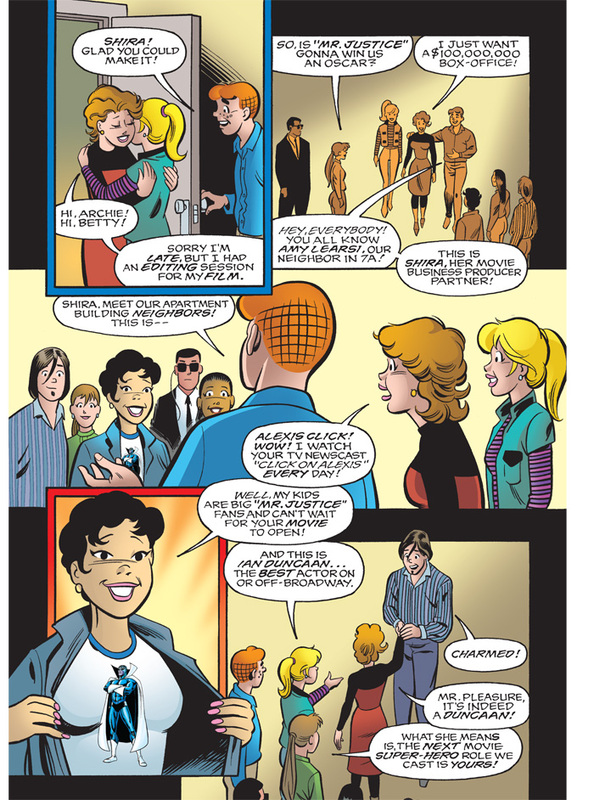 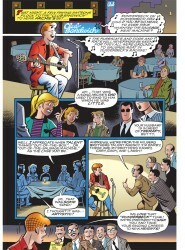 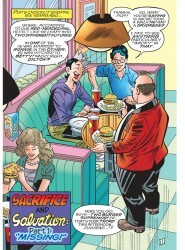 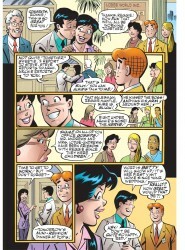 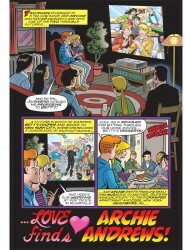 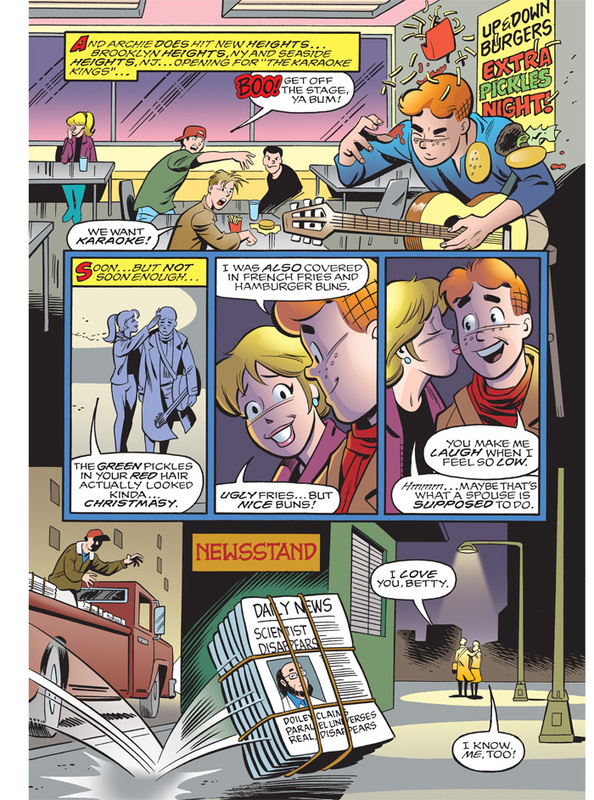 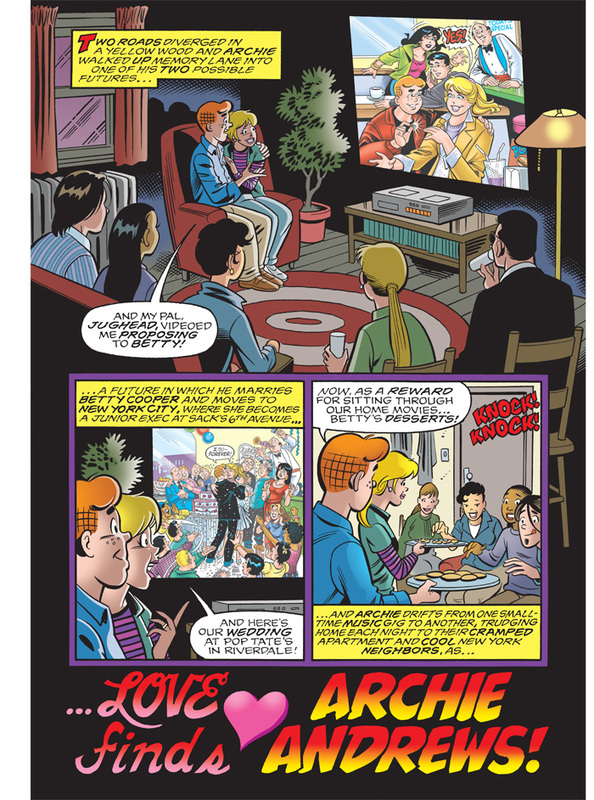 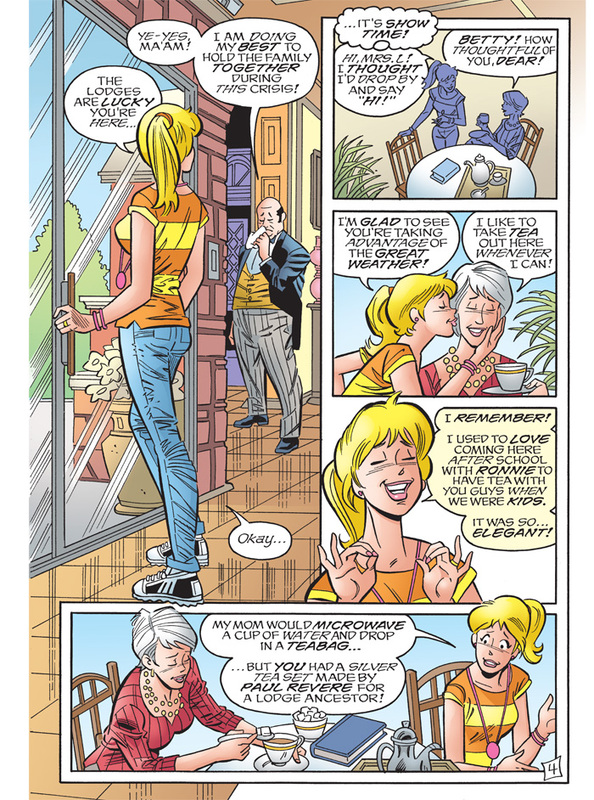 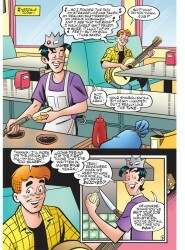 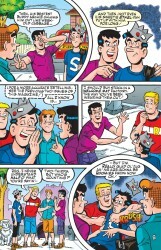 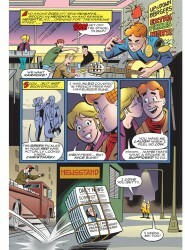 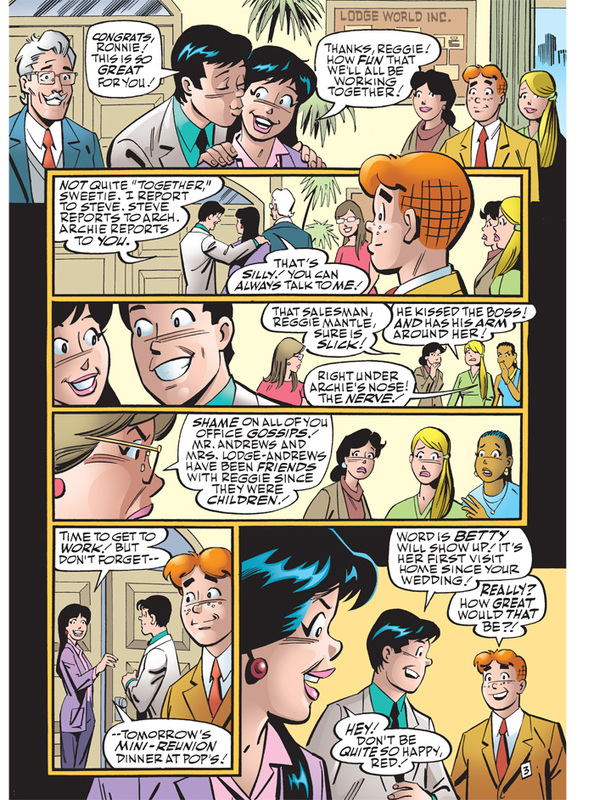 In “Archie Loves Betty,” Archie finds comfort in teaching and scouting musical talent for Ambrose’s club, the Chowhouse. 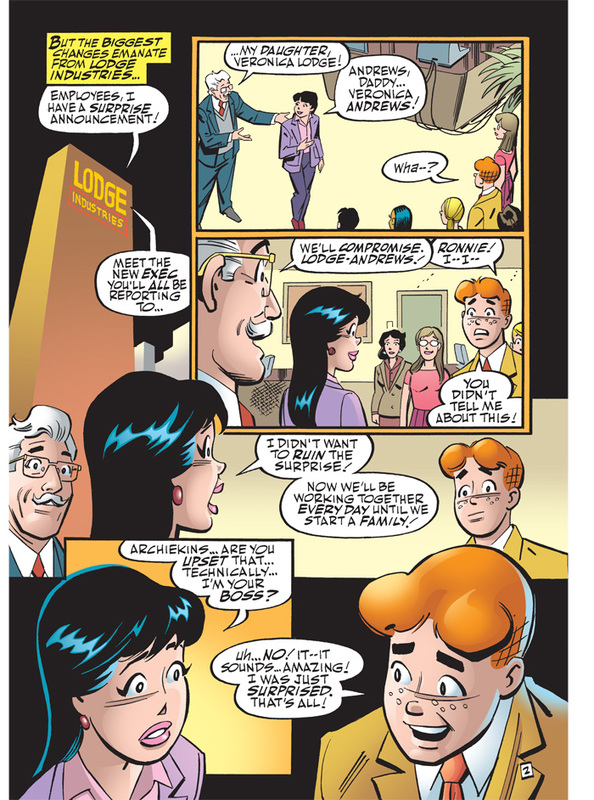 All the while, Hiram Lodge’s world is dark when Veronica’s plane to their Paris office goes missing, allowing Fred Mirth to continue his dastardly scheme to take over Lodge Industries. 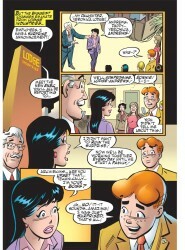 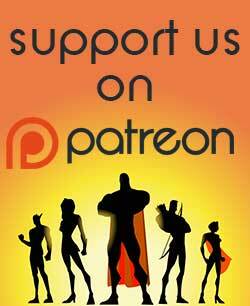 Will Mr. Lodge mobilize fast enough to save his company, his daughter, and maybe the world?